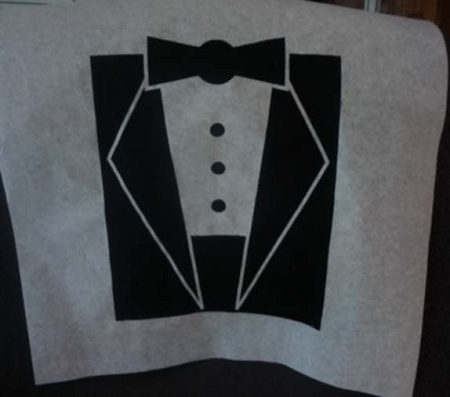 Classy Bibs for your Formal Dinner! Measures approx 14" x 21"
Also see: FANCY DRESS BIBS to complete your party! Slit in neck area is die cut release and there to help bib stay flat, it is not a defect in the bib. Bib imprinted centered left/right unless otherwise specified, printed on hand jig, location of imprint on the neck hole in relation to the neck hole may vary. Final sale.